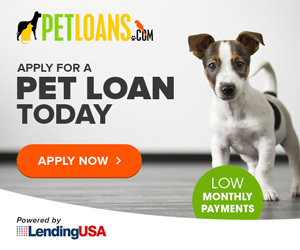 Click here to apply for Instant Financing!! Puppies in Store Cute puppies currently in store! **Financing** Click here to apply now!!! Special Order Breeds Cute puppies we can get for you! GROOMING – 20% off for New Clients! We take pride in our grooming salon because our groomers truly care for your pet! We offer ASAP appointments or drop off early pick up later appointments at no extra charge. We even groom cats!! Our groomers have a combined over 40 years experience! ! They truly love what they do! Make an appointment today with Marci, Juan or Kasey! 954-753-1333. Our Puppy Store – Where our Breeders Reputation IS OUR reputation! We are much different than any other puppy store you walk into. The first thing you will notice is the spacious habitats our puppies stay in, the next thing you will notice is how clean it is and lastly, our puppies only come from the best breeders and we can proudly say we have one of the best reputations in south Florida for over 16 years. We keep all of our breeder information posted in the front, and we give you all information when you purchase a puppy(and before if you are inquiring). Part of being the only Puppy Store in Parkland, FL means that we are under strict regulation to ensure we only work with legitimate, honest breeders. As we always remind people, our breeders reputation is our reputation and we have an excellent one! Dr. Andy Levy has been in practice for over 30 years and at his current location for 18. He loves animals so much he makes himself available 24/7, just one of the reasons we refer our clients to him! He is located two lights north(on the left) of our location in a state of the art facility. Call him today at 561-482-5600!